I'm leaving this OP as it appears below. It's way outdated. If you want to see what's current then go to the back of the thread, and if you're searching for something in particular, then don't forget that you can use the "search thread" feature. This thread is where the C3V Executive Review Board and Promotions Department will announce figures that will be used by the C3V in a future C3V design. These sculpts have been voted on for use by the ERB and permission is granted to release information to the public. This information is here, so C3V fans can purchase figures that will be used in future C3V releases before the supply disappears. Last edited by Dad_Scaper; April 16th, 2017 at 10:01 PM. Sneak Peek - A common squad in development from C3V WAVE 15! 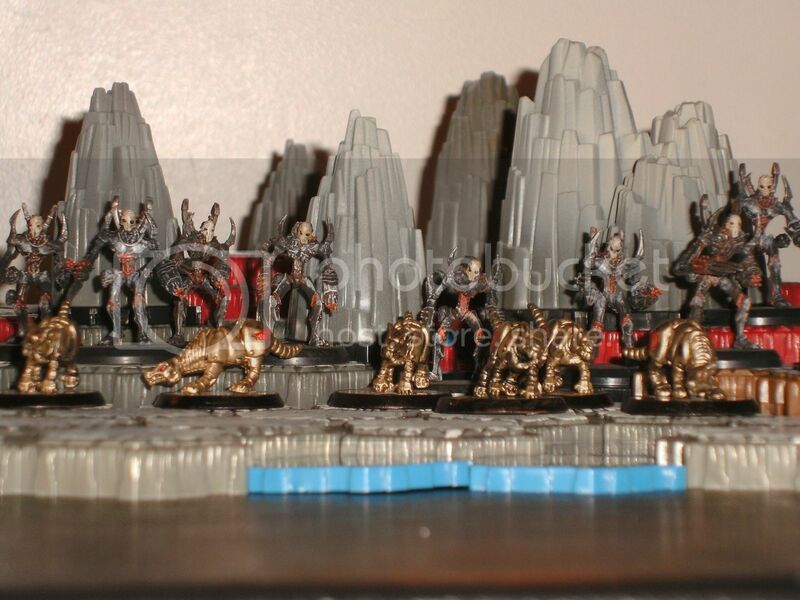 The figures used for this unit are AT-43 figures from the Therians set. Its model number and name is Therian Storm Golem Unit Box. The figures used for this unit are Confrontation figures from the Rams set. 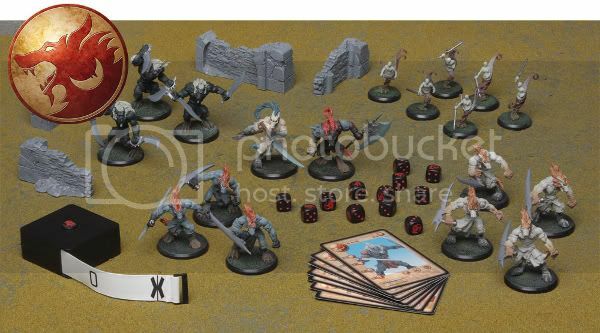 They are available from the Ram Army Box (16 figures), Abysmal Skull Unit Box (4 figures), or Necromancer Skull Unit Box (4 figures). The name of the figure is Skeleton Thrall. Sneak Peek - A unique squad in development from C3V WAVE 15! The figures used for this unit are AT-43 figures from the Red Blok set. The name of the figure is Strielitz Kolossus Unit Box. Last edited by ZBeeblebrox; February 29th, 2012 at 07:48 PM. Dungeons and Dragons figure from the Desert of Desolation set (Snaketongue Cultist/#56). The figure used for this unit is an AT-43 figure from the U.N.A. faction, the Captain H. Newton. The figure used for this unit is a Vampire Guildmaster figure from D&D Miniatures. Its model number and name is (38/Savage Encounters). 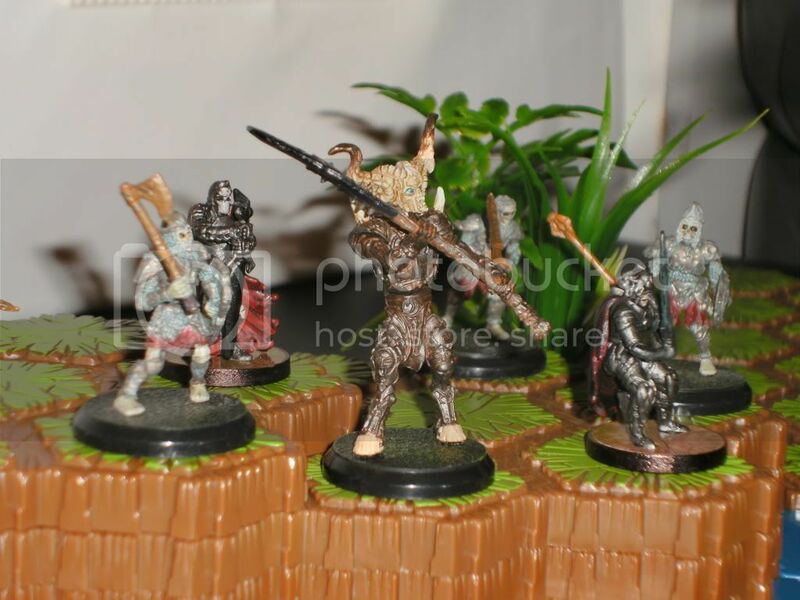 The figure used for this unit is a D&D figure from the War Drums set. Its model number and name is 41/Terror Wight. 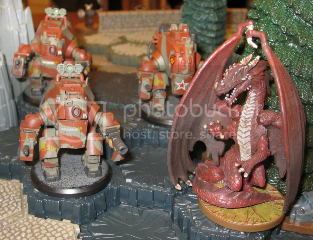 The figure used for this unit is a Mechwarrior figure from the Vanguard set. Its model number and name is MAR-2C3-A 'Vindication' Marauder IIC #084. All figures in the Mechwarrior line containing the name "Marauder IIC" have an identical sculpt. The figure used for this unit is a AT-43 figure from the promo set. Its model number and name is Guide Darius. Sneak Peek - An uncommon hero in development from C3V WAVE 15! The figures used for this unit are Confrontation figures from the Rams set. They are available from the Ram Army Box (4 figures), Abysmal Skull Unit Box (1 figure), or Necromancer Skull Unit Box (1 figure). The names of the figures are Abysmal Skull, Necromancer Skull, Toxic Skull, and Undying Skull. For more pictures of this uncommon hero, see the C3V Miniatures thread. The following Confrontation Sets will be needed for future waves and boosters. ONLY ONE SET IS NEEDED OF EACH! PLEASE DO NOT BUY MORE THAN 1 AS YOU WILL NOT NEED MORE! 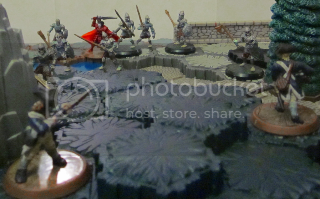 The figures used for this unit are Confrontation figures from the Griffins set. 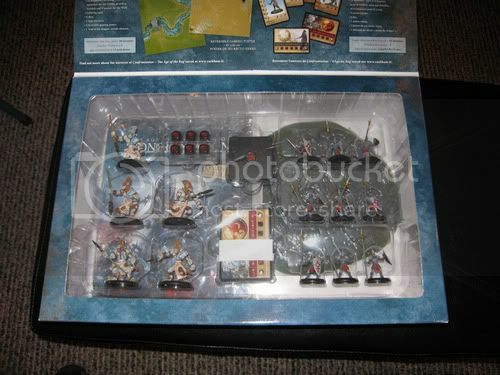 They are available in the Griffin Spearmen Unit Box (8 figures) and the Confrontation Starter Set (8 figures). The name of the figure is Spearman. Sneak Peek - Unique heroes in development from C3V WAVE 15! 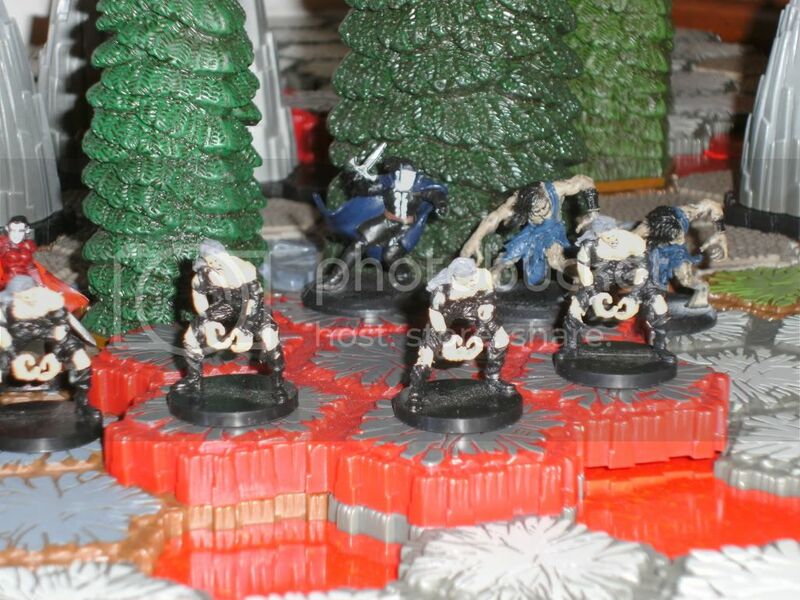 The figure used for this unit is a Female Elf Rogue figure from the Pathfinder Beginner Box Heroes set. Its model number and name is Merisiel, Female Elf Rogue. 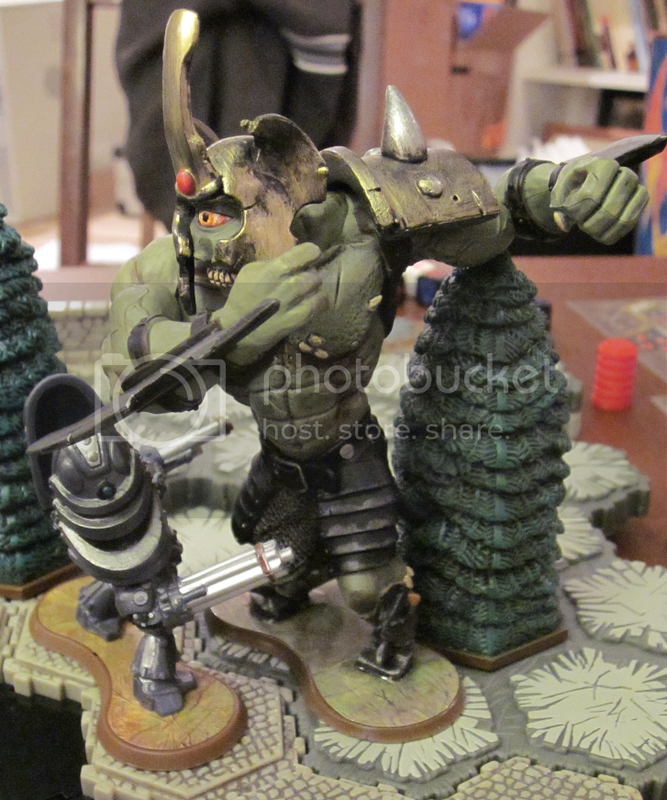 The figure used for this unit is a Pathfinder figure from the Beginner Box set. Its model name is Ezren, Male Human Wizard. 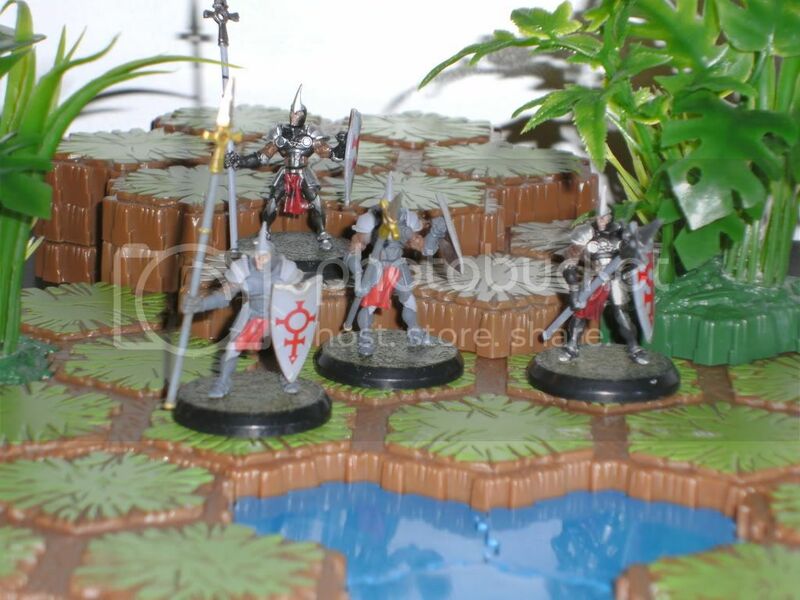 The figures used for this unit is a Pathfinder figure from the Beginner Box set. Its model name is Valeros, Male Human Fighter. The figure used for this unit is a Pathfinder figure from the Beginner Box set. Its model name is Kyra, Female Human Cleric. Last edited by ZBeeblebrox; February 29th, 2012 at 11:25 PM. Sneak Peek - An common hero in development from C3V WAVE 15! 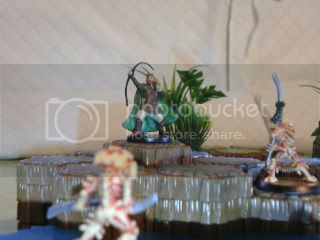 The figure used for this unit is a DnD Minis figure from the Deathknell set. Its model name is Vampire Spawn #59.